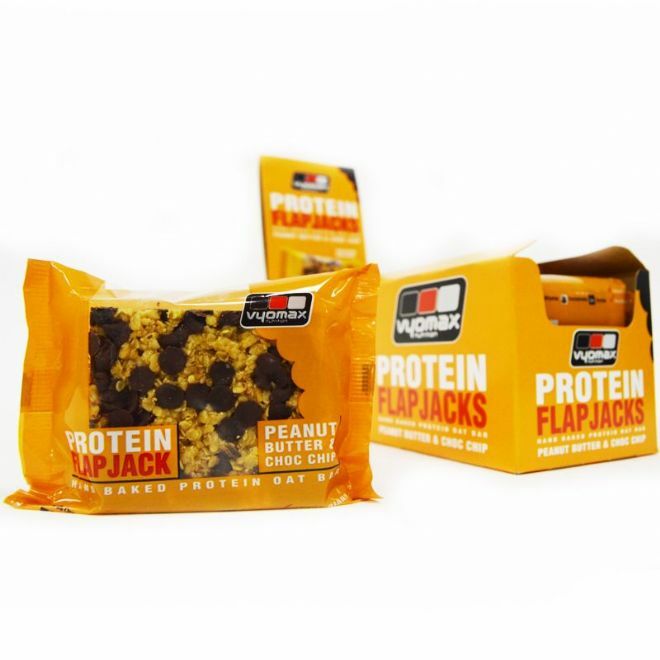 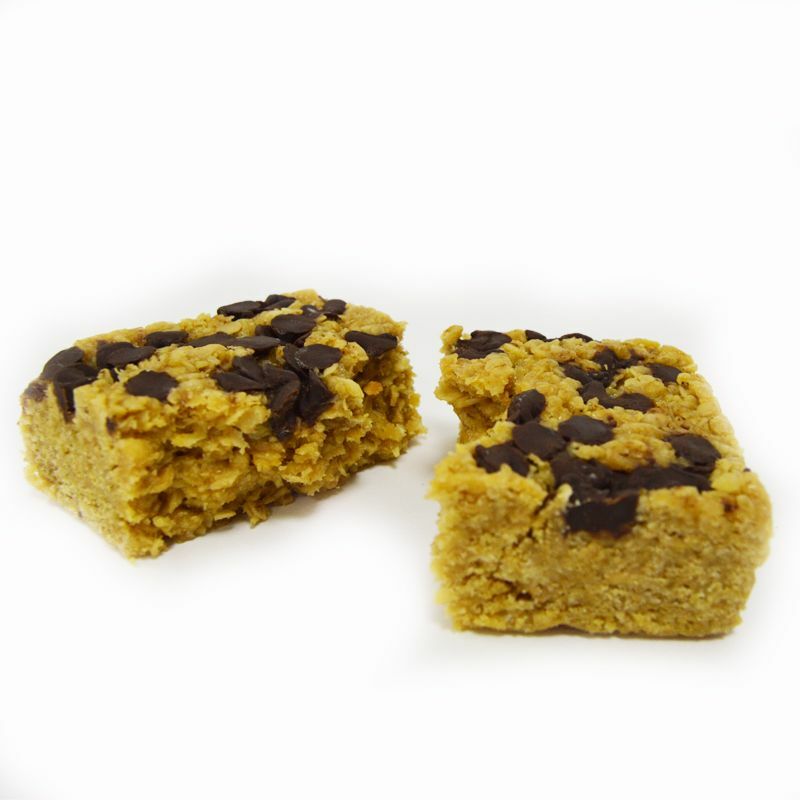 A traditionally hand baked, amazing tasting, 16g protein flapjack. 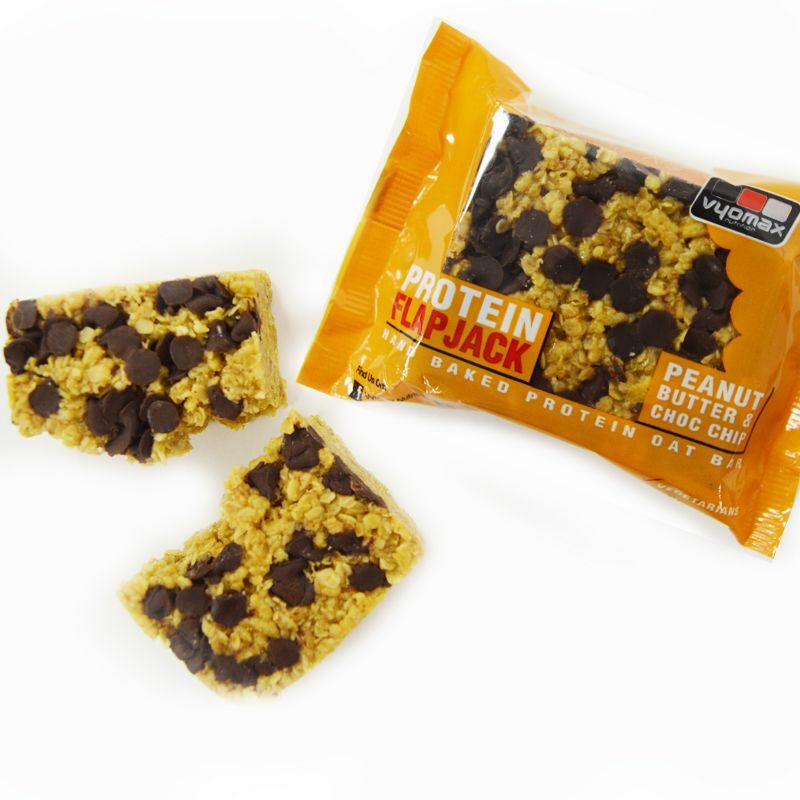 Ingredients: OATS (38%), Vegetable margarine [Palm oil, Rapeseed oil, Water, Emulsifier: E471], Golden syrup (partially inverted sugar syrup), Peanut butter (11%) [PEANUTS], Soya crisps (8%) [Isolated SOYA protein, Tapioca starch, Salt], Chocolate chips (7%) [Cocoa mass, Sugar, Emulsifier (SOYA lecithin), Vanilla extract], Brown sugar [Sugar, Cane molasses]. 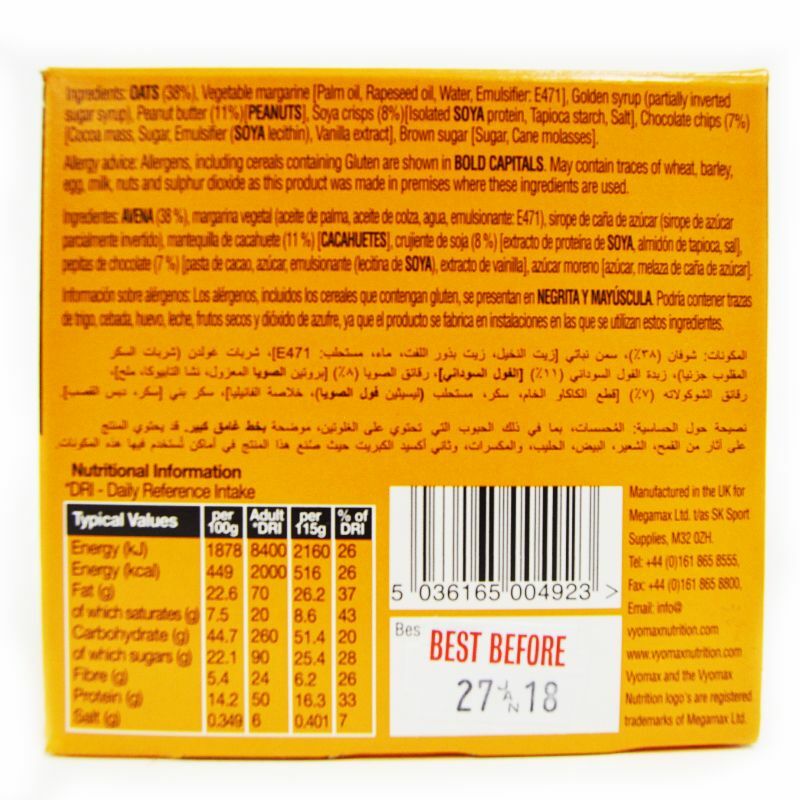 Allergy Advice: Allergens, including cereals containing gluten are shown in BOLD. 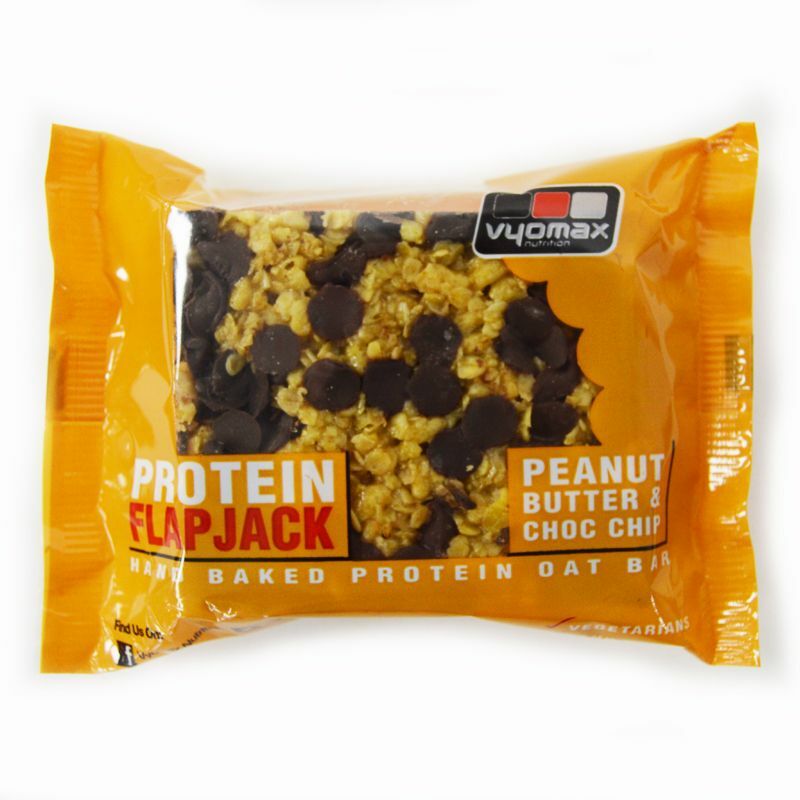 May contain traces of wheat, barley, egg, milk, nuts and sulphur dioxide as this product was made in premises where these ingredients are used.